The students in Mrs. Thomson and Mrs. Kaplan’s second grade classes learned about world geography and also read the book, “Everybody Cooks Rice” by N. Dooley. Tying the two lessons together resulted in Rice Day Extravaganza. 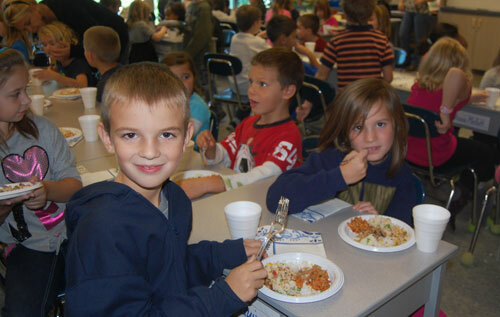 The students were treated to rice dishes from sixteen countries. They sampled coconut rice from Sri Lanka, curry rice from India, plov from Uzbekistan, maki-sushi from Japan, Spanish rice from Puerto Rico, Haitian rice from Haiti and more. Staff and parents prepared the different dishes for the students to sample.